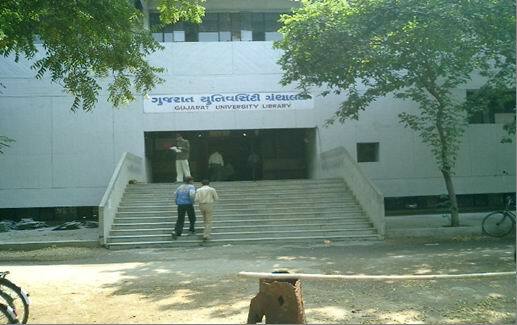 Library Science Education in Gujarat University was started from 15 June 1964. This Department is the second oldest in the state. A one-year diploma course was started in the year 1964. Based on the recommendation of UGC Review Committee on Library Science in Indian Universities (1965), it was subsequently upgraded into a Bachelor degree course (with almost the same curriculum content) of one-year duration in June 1965. In June 1984, the status of the school was changed to Department of Library and Information Science. To reflect the continuing change in the field the nomenclature of the course was again changed from Bachelor of Library Science to Bachelor of Library and Information Science(BLISc) in 1982/83. Master of Library and Information Science(MLISc) was started in June 1986. The Department is attached to Faculty of Arts from its inception. The Department is headed by a coordinator and has an ‘ad-hoc’ Board of studies. The Diploma in Library Science started in 1964/65 as a full time one academic year course with two terms and an annual examination. In 1965, the Diploma course was changed to Bachelor of Library Science that continued up to 1970/71. Then in 1971/72, 1976/77, 1979/80, 1981/82 and 1982/83 minor changes were implemented in the syllabus. In 1982/83 the nomenclature of the course was changed from Bachelor of Library Science to Bachelor of Library and Information Science. In 1984/85 and 1993/94 major changes in the syllabus were implemented which was continued to 2002/03. Since 2003/04 CDC (2001) UGC syllabus is implemented. The Master of Library and Information Science course, a full time one academic year, with two terms, was started in 1986/87. 1993/94 major changes in the syllabus were implemented which was continued to 2002/03. But are those who know how to use Information. Above stated two quotations indicates 21st century is the century of information and knowledge and wisdom. The yuga of MahaSaraswati. Bachelor of Library and Information Science and Master of Library and Information Science courses equip students for careers as Librarian/ Information professional in a variety of environments. The courses introduce students to the knowledge and skills necessary to take up crucial roles in information intensive environment and library settings. This course equips students to address issues in information and knowledge organizing and retrieval roles in a wide range of institution and business and industries and organization and professions involved with information and of the role of information in society. Both courses are conducted in The Department on Gujarat University campus and is under the umbrella of Gujarat University management body. The department have a good collection of books. Teachers and students have access to the Library and Information Science collection in the University Library. It includes approximately 5000 books; 3783 being in English, out of which approximately 30% books are of foreign publications and 70% are Indian publications, 233 books are in Gujarati language, 129 books in Hindi language, 7 books in Sanskrit language and 1 in Marathi language. The University Library subscribes to journals (all are Indian publications) in English. The library has teaching tools: Dewey Decimal classification 19th edition. Colon classification 6th edition. Classified Catalogue Code 5th edition, Cataloguing Practice with amendments. Anglo American Cataloguing Rules 2nd edition (1978) and AACR2 revised edition (1988), Universal Decimal classification 1985, Sear’s list of subjects Headings. Two computers for two permanent faculties. The MLISc students are also instructed to help BLISc students in solving difficulties. In this way a rapport is established between two class; thus creating a healthy environment and diligent competition. Interaction; seminars; brainstorming; and independent learning are motivated at both levels. Users' study; project work; dissertation; internship training; report writing induct Knowledge and skills requiring in job market. Orientation to library functions and services is arranged in a Library. Visits are arranged to local libraries of different types such as public library; research institution library; academic library, etc. The statutory language of Instruction is Gujarati; but English is used as a supporting language. Reference and information sources are in English. Both Gujarati & English queries are given to students to search from Gujarati and English sources. Classification and Cataloguing practical; subject headings assigning are taught in English and exercise is also given in English. Computer practical are taught in English. Students are exposed to the literature available in the library in each lecture and also directed to other libraries in the city. Sending MLISc students for practical training for one month invarious modern libraries and information centers. The scholars in BLISc and MLISc develop information analysis; storage, retrieval, repackaging, consolidation and documentation skills. These graduates also develop communication and presentation skills. Bachelor of Library and Information Science (B.L.I.Sc.). One academic year of two terms and full time course. Total number of seats: 25(on merit including reservation seats as per government rules)+10 (self financing seats on merit including reservation seats as per government rules). Seats allocation: In total number of merit seats(25); two seats shall be reserved forother than Gujarat University. Bachelor degree obtained with minimum 50% with IInd class in any faculty of recognised university as equivalent to the corresponding examination of this university will be considered.Any number of vacant seats in this category shall be filled by GujaratUniversity applicants. Eligibility: Applicants for Bachelor Degree of Library and Information Science must have passed a Bachelor’s Degree with minimum 50% marks and IInd class in Aggregate in any faculty of Gujarat University or of any o ther university recognised as equivalent to the corresponding examination of Gujarat University. In case of external and internal exam marks; only external /University exam marks shall be considered for eligibility. Admission process: Admission process shall be on merit points; Those applicants called for visit should appear personally before the committee with fees.Fee should be paid immediately; when merit list is declared. Those applicants called for visit and do not appear before the committee shall not be considered for admission. Fees should be paid immediately when merit list is declared; after which the letters shall be dispatched to applicants come in merit list but have not paid fees. Ten working days from the date on letter shall be allowed to pay fee; after this waiting list shall be operated. 10 seats(Self Financing) (annual): Above stated non self financing fee Annual Rs6000 + other fee (annual) and plus Rs5000 more. Two terms Rs11000+ other fee (According to Gujarat University Announcements). Admission given in self financing seats: The candidate shall have to pay above stated (both annual) fees at the time of taking admission. Non-self financing: First term fees in Ist term when getting admission. Second term fees in the starting of the IInd term. Self financing: annual fees at the time of taking admission. The syllabus(BLISc) contains following papers. Theory papers total 500 marks. Practice Papers total 300 marks. Future Career Opportunity: Bachelor degree (BLISc) give opportunity in school library. In small center public library. It is certainly advisable to take MLISc degree. terms and full time course. +05 (self financing seats on merit; including reservation seats as per government rules). than Gujarat University. Bachelor of Library and Information Science obtained with minimum 50% with IInd class of recognised university as equivalent to Bachelor of Library and Information Science examination of this university will be considered. Any number of vacant seat in this category shall be filled by Gujarat University applicants. Remaining 09 (ie 10-1) seats to be filled by candidates having passed Bachelor of Library and Information Science examination with minimum 50% with IInd class of Gujarat University. reserved category to which the candidate belongs. shall be as per University Announcements. Passed Bachelor of Library and Information Science with minimum 50% marks and IInd class in Aggregate of Gujarat University or of any other university recognised as equivalent to Bachelor of Library and Information Science examination of Gujarat University . In case of external and internal exam marks; only external /University exam marks shall be considered for eligibility. fees. Fee should be paid immediately; when merit list is declared. committee shall not be considered for admission. sc/st section. Minimum two shall remain present. waiting list shall be operated. Course fee: 10 seats: Education fee Rs3000 / per term(According to Gujarat University Announcements) and Computer teaching/ training fee per term Rs 2000/. and other fee as per university announcement. i.e. Per term Rs 5000/+ other fee. 05 seats(Self Financing) (annual): Above stated non self financing fee Annual Rs 10,000 + other fee (annual) and plus Rs 7000 more. Two terms Rs17000+ other fee (According to Gujarat University Announcements). Admission given in self-financing seats The candidate shall have to pay above stated both annual fees at the time of taking admission. Dates of payments of fees: Non-self financing: First term fees in Ist term when getting admission. Second term fees in the starting of the IInd term.
. Self financing: annual fees at the time of taking admission. Medium of instruction: Gujarati and English. Knowledge of English is essential. ; because most of the teaching and learning tools are in English. Employers ask for English language proficiency/ minimum workable English. minimum period of one month after completion of theory papers examination. Successful completion of the programme is a must for their final results. The Master degree curriculum is one academic year of two terms and full time course. The syllabus (M.L.I.Sc.) contains following papers. Theory papers total 450 marks. Practice Papers total 350 marks. Future Career Opportunity: Graduates may also progress to further studies and research respectively. The knowledge and skills acquired here could be exploited at any type of work place and in work environment. Placement facility. The Department receives demand of requiring knowledge and skills in graduates; specifying basic degree qualification e.g Science graduates with MLISc and so. The department send names and address accordingly. Graduates get employment on permanent/ temporary / trainee posts; but over a period of time they secure permanent jobs. At present there is 100% employment. Libraries/ Information Centres/ Information Resource Centres are mainly the employers. Few also make careers in diversified fields. Note: Gujarat University holds all rights to make any amendments in course 1 and course 2..
Qualification : B.Lib.Sc., M.Lib. Sc.